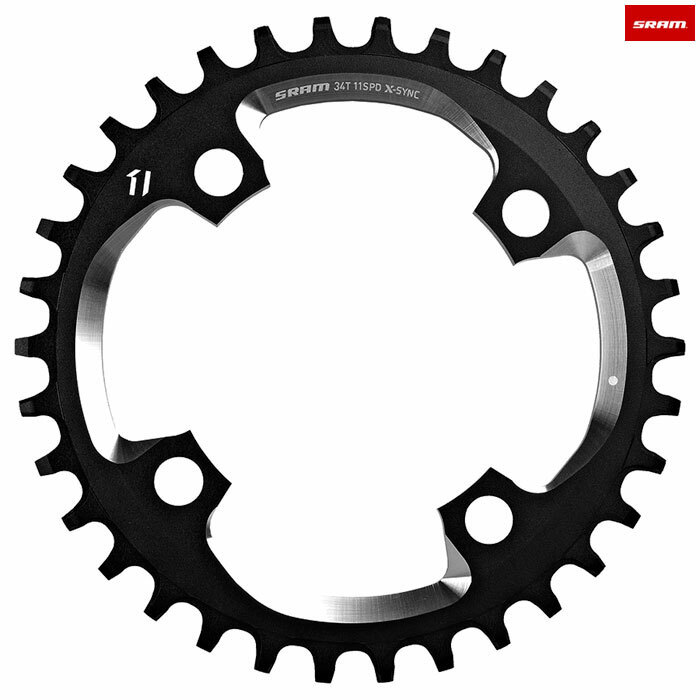 SRAM X-Sync 1x chainrings provide the highest level of performance and durability. The SRAM X-Sync tall square teeth edges engage the chain earlier than traditional triangle shaped teeth. The sharp and narrow tooth profile, as well as rounded chamfer edges, help manage a deflected chain. To provide the best possible performance in muddy conditions, the X-Sync chainrings have been designed with mud-clearing recesses for the inner chain links and rollers.